accept $1,280.00 as the winning bid! the assumable balance of $47,800! Installments as low as $526 monthly! 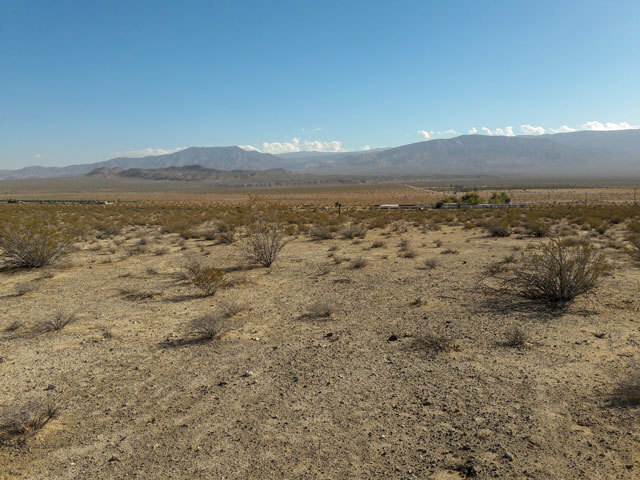 This 20 acre desert ranch is located in Lucerne Valley, CA about 2 hours southeast of Los Angeles. This property would make an ideal southern California desert retreat for anyone living in LA or Orange County. 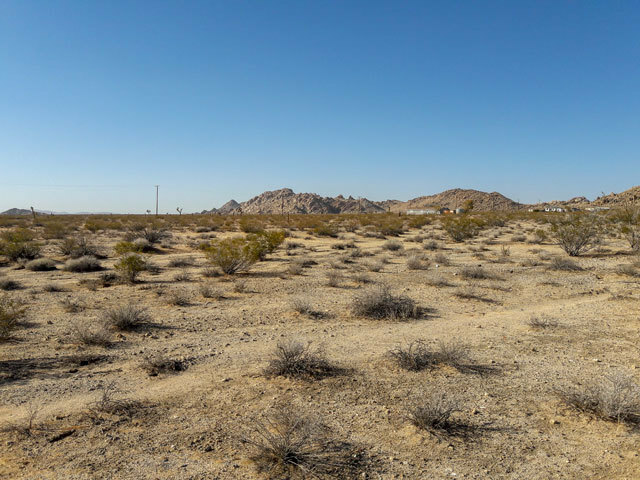 Prices in this southern California desert area with comps listed at $60,000 plus this is a great opportunity to take advantage of our pre-approved financing terms. San Bernardino is located in Southern California and is a thriving community of arts, culture, parks and recreation centers, museums and outdoor sports. It is the fifth most populated county in California and is home to over 2 million people. The unique thing about San Bernardino is that it can be an active and vibrant community of events and amenities, and it is also home to large plots of private land tucked away from the activity of the city. 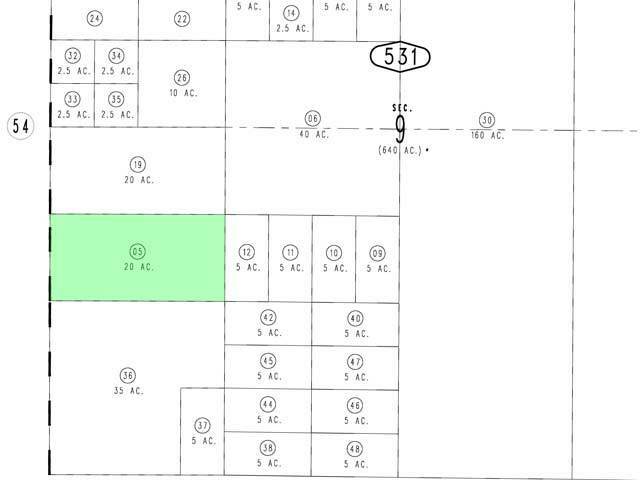 It is here that you will find this sprawling 20-acre lot for sale. 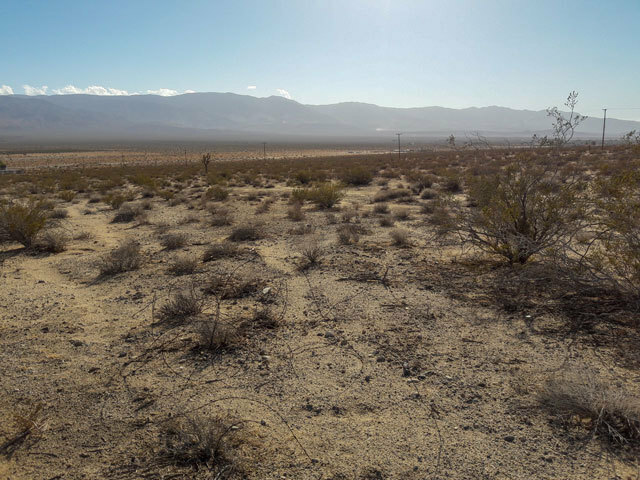 The first thing you�ll notice about this spacious lot is the view. From the middle of the property, you can look in almost every direction and see stunning mountain ranges in the distance. The property is flat and open, with very little change in elevation and minimal shrubs and bushes throughout. 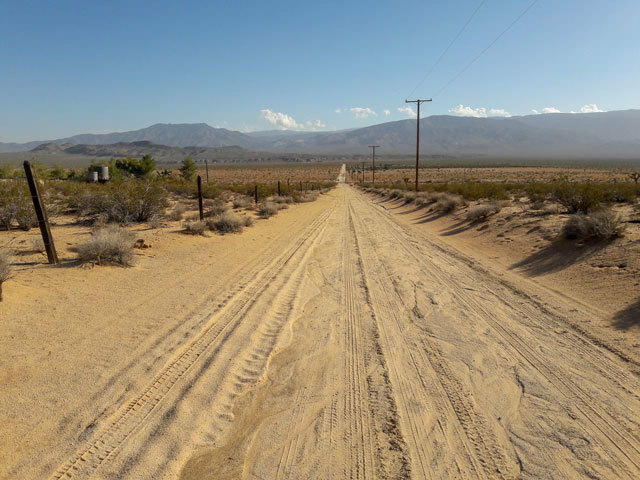 There is a dirt road that leads from the property out to the main road. There are only a handful of residential neighbors within a few miles of the property. Big Bear Lake is known for its fish-filled lakes and luxury ski resort and is less than an hour from this lot. Big Bear Lake Village features boutique hotels, restaurants and shops and is a popular vacation destination. The Angeles National Forest is a little over an hour away and is an ideal place for camping, hiking, fishing and exploring, and is the perfect place cross-country skiing, snow camping and snowmobiling in the winter. 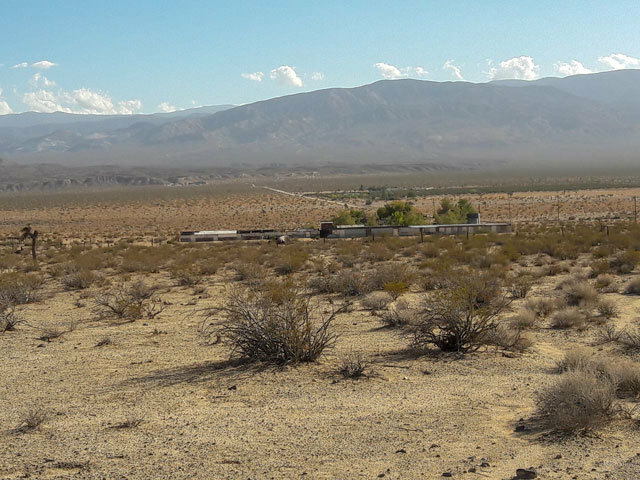 The iconic San Bernardino National Forest is 90 minutes away and offers locals and tourists a breathtaking place for picnics, hiking, nature photography, and camping. 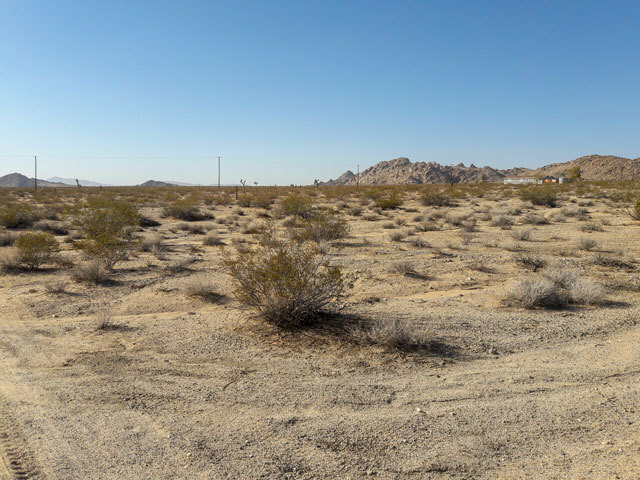 This lot is a little over 2 hours to the coast and less than an hour from the beautiful trees of Joshua Tree National Park. 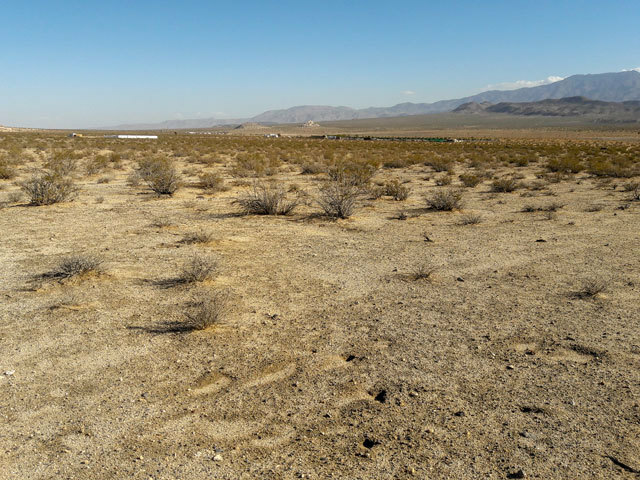 While this 20-acre lot at the base of some of California's most beautiful mountains can feel private and tucked away, it is also close enough to some of Southern California�s most popular destinations. For everyday conveniences, there are grocery stores, retail shops, medical offices, schools, gas stations churches, banks, and restaurants less than a half hour away. If you�re feeling up for a road trip, you can get to the lights and excitement of Las Vegas in a little over 3 hours, and to the sunset strip in a little over two hours. There are shopping malls, movie theatres, big box stores, chain restaurants and the San Bernardino International Airport just an hour away. 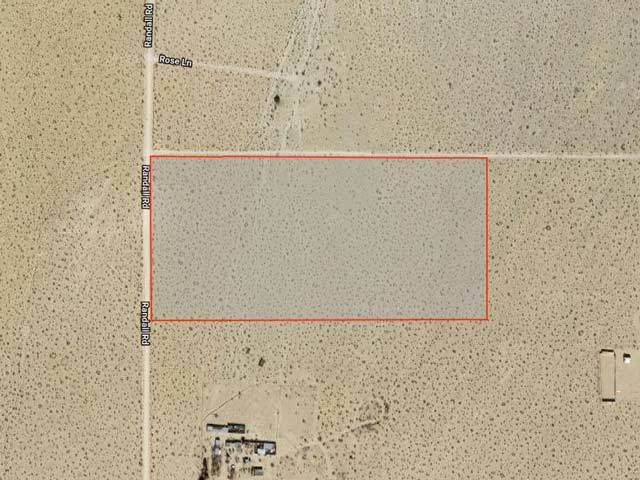 There is a lot you can do with 20-acres of flat, open, California land. Whatever your plans are, investing in this land means access to some of the best mountain views in the state, and a location that is private and rural while also offering modern conveniences. 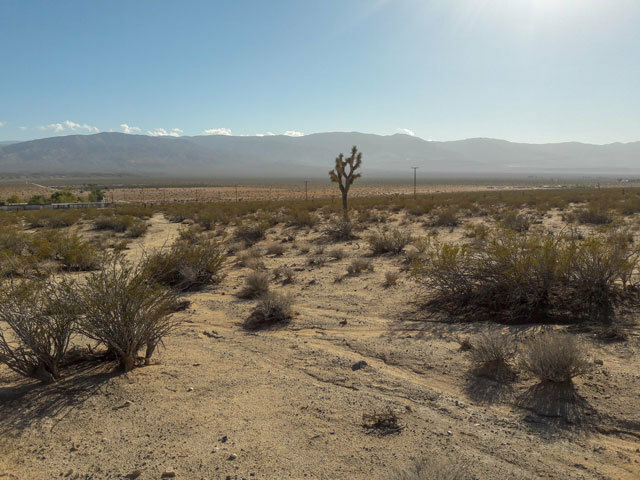 Legal Description: "S 1/2 NW 1/4 SW 1/4 SEC 9 TP 4N R 2E"
Rodman Mountains Wilderness Area - 75 miles - 1 h 38 min"
The Winning Bidder will assume a balance of $47,800. with monthly payments of approximately $526.